TORONTO -- A grief-stricken father whose former spouse and two teenage children were killed in their suburban Ontario home last week expressed gratitude Thursday for what he called the outpouring of public love and support shown to him and his surviving daughter. In a statement, Vas Pejcinovski also announced a memorial fund in honour of the victims. "There are no words to explain how we feel. 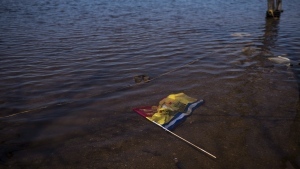 Our hearts are broken," Pejcinovski said. "I put my faith in God to give us comfort and guide us through this long journey toward healing." 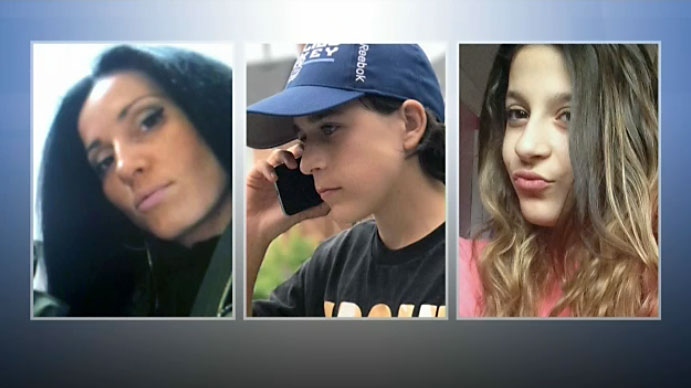 Police have charged Cory Fenn, 29, with three counts of second-degree murder in the deaths of his romantic partner Krassimira Pejcinovski, 39, her son Roy Pejcinovski, 15, and daughter Venallia Pejcinovski, 13, all of Ajax, Ont. Fenn appeared at his first court appearance in nearby Oshawa, Ont., last week with his face bruised and bloodied. He had been arrested a day earlier just hours after police found the victims with "obvious signs of trauma" in their two-storey home on an otherwise quiet, tree-lined street in Ajax. Police said Pejcinovski's oldest daughter, a 16-year-old, was not home at the time of the incident. Within a day, neighbours and other well-wishers had left a pile of flowers and cards outside the family's home. Roy Pejcinovski excelled at hockey, playing as a goalie with the major bantam AAA Don Mills Flyers. His father's statement was posted on the Greater Toronto Hockey League website. "We have lost our beloved Krissy, Roy, and Vana and our lives will never be the same," the father's statement said. "As we grieve, we respectfully ask for privacy from the media and thank you for your understanding." Vas Pejcinovski said in his statement that people have been reaching out to offer kind words, condolences, and tributes, saying it was clear the victims had touched many lives and were loved by those who knew them. Every e-mail, text and message has "helped to comfort our hearts," he said. The new fund aims to honour the lives of his former spouse and two children and celebrate their "qualities of compassion, kindness, and charity." "Krissy was kind and gentle, with a bright smile and warm heart. She loved her kids and they loved her back," a webpage for the fund states. "Roy, the natural athlete and loyal friend, was a caring, charismatic, and funny kid who loved his hockey team. Vana was a sweet and joyful girl who was full of life, and would light up any room she entered." It was not immediately clear where the proceeds would go -- something father and daughter said they would determine. Investigators have said they were alerted to the killings after a woman stopped by to check on Krassimira Pejcinovski but a man barred her from entering the home. Officers said the man left in a vehicle that was later found abandoned. Police have not yet said how the Pejcinovskis died. Fenn remains in custody pending a court appearance next week. Thirty-nine-year-old Krassimira Pejcinovski, her 15-year-old son Roy Pejcinovski and her 13-year-old daughter Venallia Pejcinovski appear in these undated photos.